From coffee to brokerage. My path to Colliers is not like most. It began when working at Peet's Coffee and I met their frequent customer, Terence Kirk. From behind the counter, I hustled my way into a summer internship with Colliers Downtown Los Angeles. It then transitioned into a part-time business development role with Colliers San Diego while studying full-time. After studying abroad in Madrid and graduating from the University of San Diego, I was exposed to high performing tenant representation and investment sales teams. Most importantly I learned what it takes to be successful in a competitive industry. I represent high-growth and established companies in West Los Angeles and abroad. I advise them on all aspects of their real estate needs: site-selection, lease negotiation, occupancy cost management, right-sizing, and more. I utilize my diverse background, unrelenting work ethic, and hands-on approach when understanding my client's needs and crafting a creative solution for their most pressing problems at hand. Terence R. Kirk began his career at the CBRE Headquarters located in the Downtown Los Angeles office. During his tenure at CBRE, Mr. Kirk focused exclusively on the representation of occupiers both locally and nationally. Over the course of his career, Mr. Kirk has been involved in the strategic consulting and transaction management of over 40 million square feet of office space both nationally and internationally. Mr. Kirk’s portfolio management expertise ranges from the Fortune 500 to the Mid-Cap to Regionalized Occupiers. With experience both in the public and private sector, Mr. Kirk can effectively provide to his clients increased profit margins via an efficient and strategic approach to the real estate portfolio. 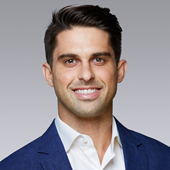 Kyle Stanich facilitates the strategic consulting and transaction management of office space both nationally and in Greater Los Angeles, with a focus on Tenant and Landlord representation. Kyle drives enterprise value for Tenants through an understanding of their operations, capital planning, branding and culture, and devises a workplace strategy unique to their business. 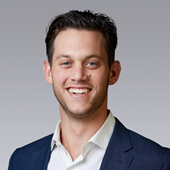 Kyle has experience with multi market portfolio assessments, and reducing of occupancy costs across the entire company footprint. Kyle services Landlords through an understanding of the tenant pulse in each submarket, paired with an aggressive canvassing and proactive marketing approach to deliver timely lease up. Kyle is well known within the brokerage industry and his clients benefit from the increased visibility their assets receive. 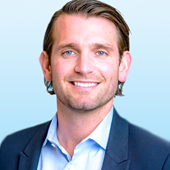 With experience representing Principals in Downtown, Tri Cities, North Hollywood, and West Los Angeles, Kyle takes a hands-on approach in strategizing for the best route to achieve his clients target NOI or sale price.